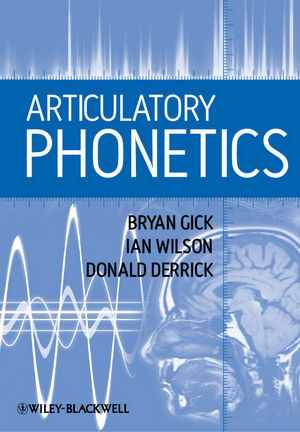 Welcome to the companion site for Articulatory Phonetics by Bryan Gick, Ian Wilson, and Donald Derrick. Articulatory Phonetics presents a concise and non-technical introduction to the physiological processes involved in producing sounds in human speech. With a primary focus on the basic anatomy and physiology of speech and how different kinds of speech sounds are made, the text serves as an ideal guide through this burgeoning area of research. On this site you will find additional exercises and answer keys. Images from the text with labels removed: These images are duplicates of the images in the textbook, but with the text removed so that they can be used for studying, and in tests and exams. MRI images: These images are all based on static MRI images of Ian Wilson. The MRI image is color inverted (white becomes black, and black becomes white) and the vocal tract space is cut out of the image. They represent most of the sounds in English.